Holidays are now different now that you have a new baby. Everyone wants to see you and your new little one. So, how can you keep your baby healthy--besides a bubble!?! Well, your little one will be exposed to SOME viruses and bacteria regardless of your efforts...so let’s take these steps to protect them while visiting family and friends. Healthy people only! If someone has a cold or isn’t feeling well it’s ok for you to tell them you’d rather they not hold the baby this time. People mean well, sometimes they just get so excited and forget how vulnerable your baby can be. Avoid places with sick people such as the mall---hello online shopping and food delivery! Promote vaccinations! Your baby is not fully vaccinated yet so make sure anyone who will be spending significant time with you and your baby are up to date on their DTAP and flu vaccines. Protect your baby by not exposing them to these deadly diseases. Keeping a routine! Especially if you are traveling this season bring some comfort items for your baby. Maybe a blanket that you feed with all the time or their favorite toys. Remember, baby’s (age 4-12 months) need 12-16 hours including naps of sleep a day! Make sure to set up a safe area for your baby to sleep and recognize those times when they are tired. No coats in the car seat! Driving around to look at all the lights and the many car trips we will be taking this season make sure you bring your child's coat but strap them in without it on. Thick coats can keep the car seat straps from fitting appropriately. Do not over bundle your baby! It is hard to tell when your baby is cold and our natural instinct is to bundle our babies. Be careful! Research has shown that this can increase incidence of Sudden Infant Death Syndrome (SIDS). A baby can’t tell mom that they are hot, and their body heat can rise quickly when they are wearing too many clothes. 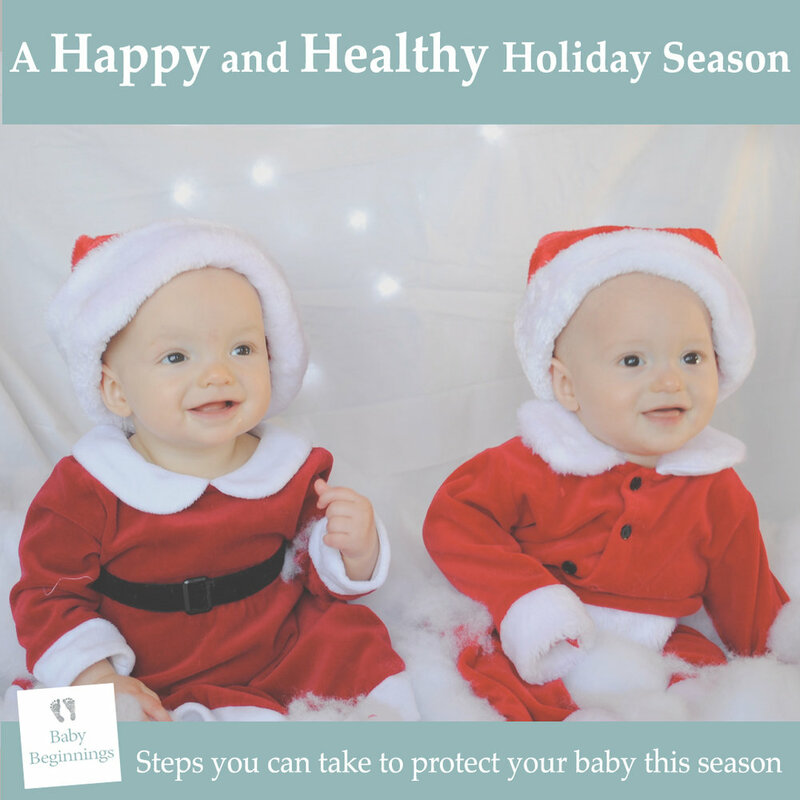 Now you know some ways you are in control this holiday season on how to keep your little one safe. We will be covering many safety topics in our upcoming safety class at Goddard school, come join us on December 15—with special guest Signing with Miss Steph! We also have some more upcoming infant classes for all of our expecting parents! December 14 we will be welcoming Dr. Madden of Primrose Newborn Care! Contact us today and take a look at our schedule, or we can come to you! My baby has a cold!